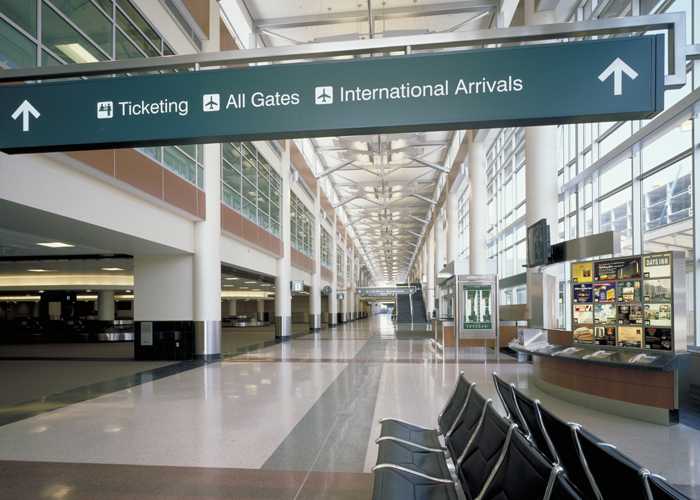 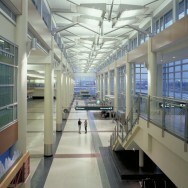 The two-story terminal building includes 12 gates, ticketing, and baggage claim and is primarily framed using cast-in-place concrete. 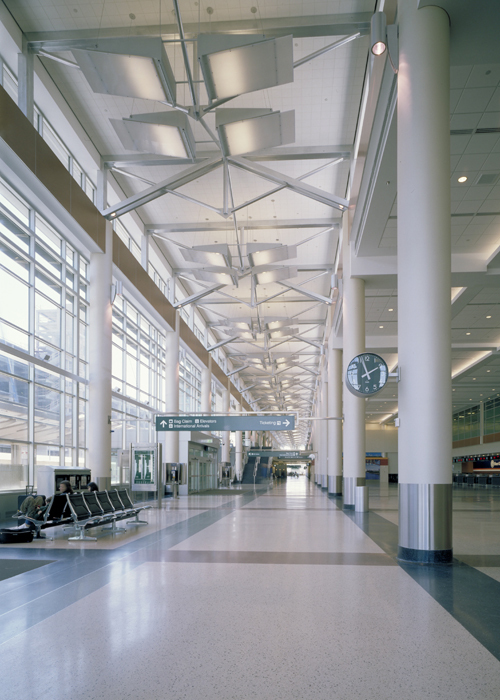 The floor and roof decks were built using a wide-module pan and joist system. 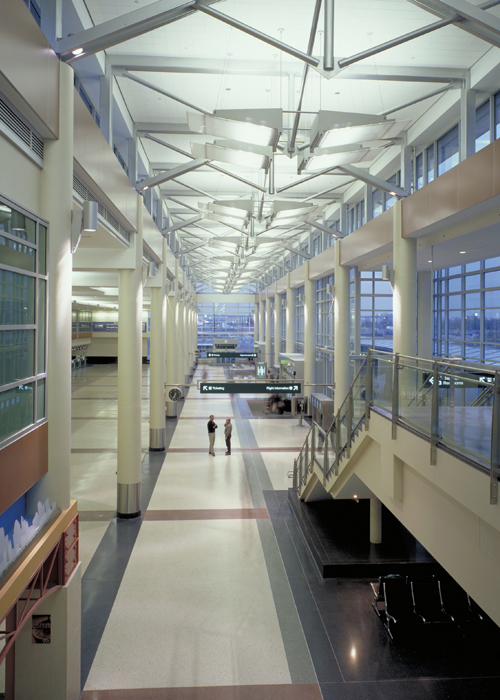 Although most of the structure was designed utilizing mild steel reinforcing, there are a number of cantilevered floor beams and long-span roof beams in the ticketing lobby area that were reinforced with post-tensioning tendons. 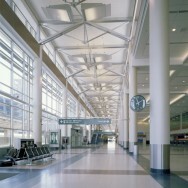 The high bay concourse roof framing and expansive mechanical penthouses are structural steel. 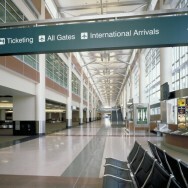 A 16-gate expansion is currently under design.